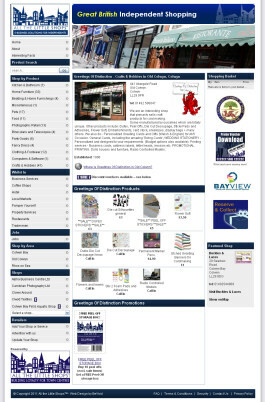 » This is an example of how your shop listing will appear on the All The Little Shops UK system in 2011. Following the success of All the Little Shops in 5 key areas across the UK we will be launching our National website early in the New Year. This is your opportunity to register your independent business or service, totally FREE - no catch whatsoever! In the New Year, when the National site is live, we will email you and offer you premium features that allow you to trade online and use All the Little Shops to its full potential - just like Shrewsbury, Colwyn Bay and Wombourne. 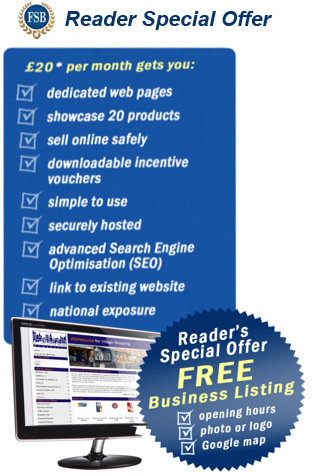 You will be under no obligation to upgrade - but we hope you do - for just £20 per month plus vat. If you decide not to upgrade - no problem - you can still keep your free shop listing on the National All the Little Shops website with our compliments - seasonal Greetings! If you are an Independent Retailer click here to register your shop. If you are a Town Centre Manager or represent a town click here to register your town.